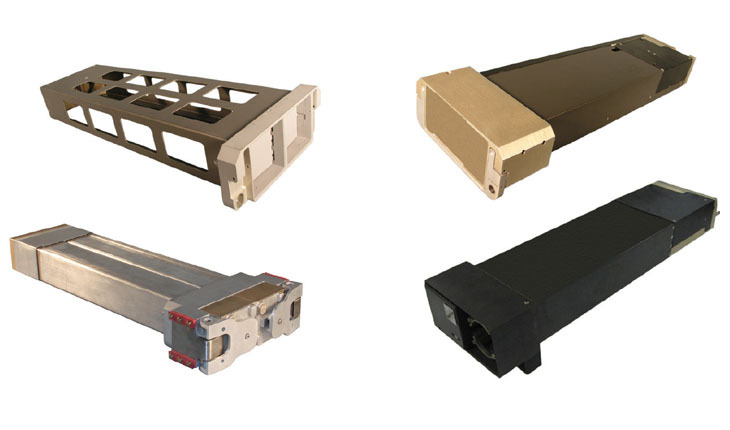 Utilizing the expanding base of ALE-50 installations, Meggitt Defense Systems (MDSI) offers various countermeasure magazines for different threats and budget constraints, all fitting the ALE-50 form factor and ICD for easy logistics and top of the line protection. From the battle proven ALE-50 towed decoy expendable magazine to the only fiber optic towed decoy to be fully operational to date worldwide (F-16 Block 60), the ALE- 50 infrastructure has proven to be simple, reliable and robust. The RORI Magazine offers significant cost reduction through decoy recovery and the SM-50 magazine offers covert preemptive IR protection and much longer duration.